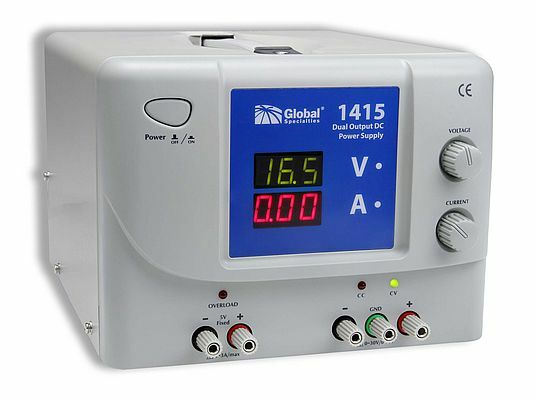 Global Specialties introduced a new power supply. The 1415 provides up to 30 V at 3 A. The fixed output offers 5 V at 3 A. Automatic crossover between the Constant Current and Constant Voltage modes allows continuous transition from CC to CV modes in response to load condition changes.